I decided to give DietBet a try after a coworker mentioned that he used it to help him lose weight for a half marathon he wanted to run. The social aspect of DietBet is very helpful. There are tons of great, motivating people in each game who cheer you on or help you get back on track if you stray off course. 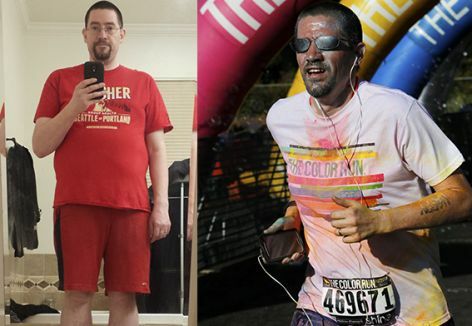 Since losing over 50 pounds, I’ve been able to do an average of a 5K race each month, and I can now easily complete them without walking. Before, I would maybe be able to get in a few minutes of running, but would walk the majority of the race. One of the best things that has happened from playing DietBet games is watching how my kids have picked up on the lifestyle changes I’ve made. As a family, we’ve started doing Mud Runs and 5K walks, and I can play outdoors with my kids and be active with the other dads in my neighborhood. I’m really happy that the whole family is getting outdoors and moving.